You’re a big reader and we know you’re looking forward to meeting some deceased Christian writers in Heaven. Is there a late great athlete you’d also like to greet? 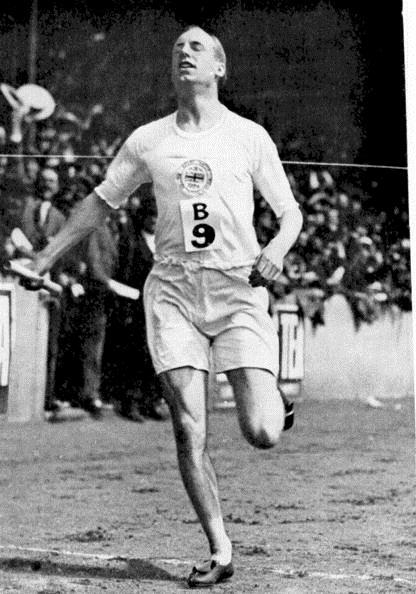 I look forward to meeting Olympic champion and missionary to China Eric Liddell, the hero of the movie Chariots of Fire. Liddell shocked the world by refusing to run the one hundred meters in the 1924 Paris Olympics, a race he was favored to win. He withdrew because the qualifying heat was on a Sunday. Liddell won a gold medal—and broke a world record—in the four hundred meters, not his strongest event. Later he went as a missionary to China. Eric’s “rest of the story” was told to my wife and me twenty-three years ago by a woman in England, Margaret Holder. As a young teenager, Margaret and other missionary children were in a Japanese internment camp in China, where Liddell refused to leave the children behind, and ended up dying of a brain tumor there. Margaret smiled and wept as she told us how “Uncle Eric” kept up the children's morale and held the camp together by his devotion to Christ and his care for the children. Through her tears she told us how just a few months after Liddell died the children were dramatically rescued by American paratroopers and reunited with their families in England. Though I had been very touched by Liddell’s story watching Chariots of Fire, it was what Margaret Holder told us that day that made me really look forward to meeting in Heaven this man whose Olympic gold medal was nothing compared to his humble service for Christ. I’m counting on Eric, in his resurrection body on the New Earth, being able to run slow enough for me, in my resurrection body, to run alongside him.